(London Post) – Artful has arrived at her Scottish home and will continue sea trials before entering service. Artful, the third of the Royal Navy’s new Astute Class attack submarines, has arrived at her Scottish base port from where she will carry out sea trials before entering service later this year. The 7,400-tonne Artful left BAE Systems’ construction yard at Barrow-in-Furness in Cumbria several days ago before sailing to her new home at Her Majesty’s Naval Base (HMNB) Clyde. She will provide the Royal Navy with the most technologically advanced submarine Britain has ever sent to sea. HMS Artful, the third of the Royal Navy’s new Astute Class attack submarines has arrived at her Scottish base port from where she will carry out sea trials before entering service later this year. HMNB Clyde will become a home for the Royal Navy’s submarines and associated support by 2020, creating a submarine centre of specialisation. The base is among the largest single-site employers in Scotland, with 6,700 military and civilian personnel, increasing under current UK Government plans to 8,200 by 2022. The arrival of Artful to HMNB Clyde clearly shows that the UK Government is firmly committed to the future of defence in Scotland, this is the latest addition to what will be the home of all Royal Navy submarines by 2020. The Astute submarine programme is a key part of our £163 billion equipment plan which has been bolstered by the commitment to increase defence spending and meet the NATO pledge of two per cent of our national income for the rest of this decade. 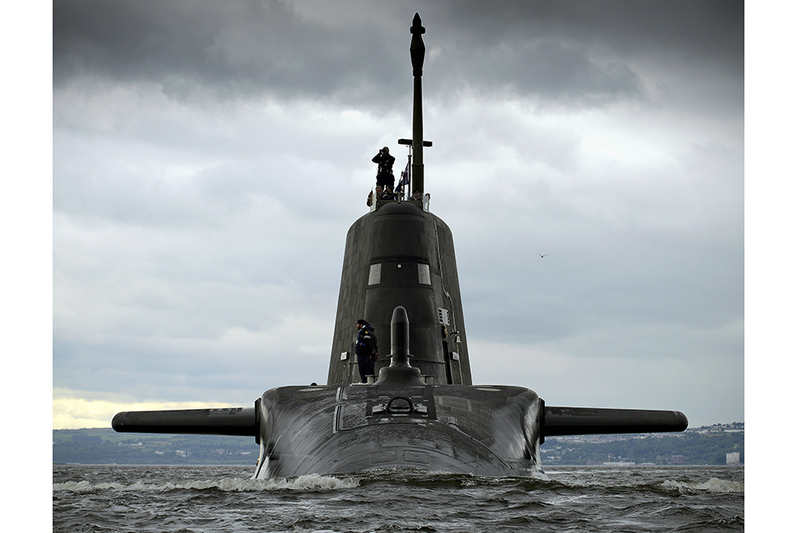 The Astute Class are amongst the most advanced submarines operating in the world today and provide the Royal Navy with the capability it needs to defend UK interests at home and overseas. I am delighted that Artful has arrived at her home port to prepare for operations as this marks a key milestone in the Astute class submarine programme. The build of the first two Astute Class submarines has taught us many lessons. Artful can soon begin operations as the newest submarine in the Royal Navy. 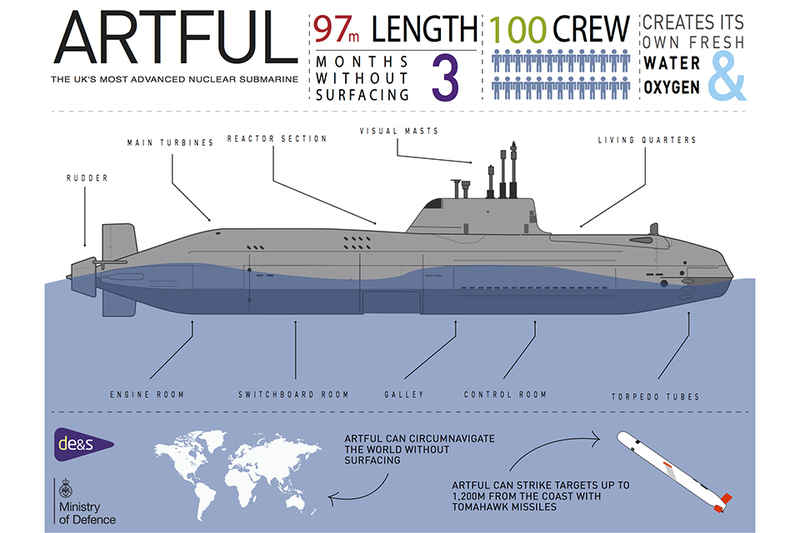 Featuring the latest nuclear-powered technology, Artful can circumnavigate the world submerged, manufacturing the crew’s oxygen from seawater as they go. Artful arriving at HMNB Clyde. Lessons learned from the construction of HMS Astute and HMS Ambush will allow Artful to progress to Contractor’s Sea Trials in a significantly advanced material state than her predecessors. The Astute Class submarines have the ability to operate covertly and remain undetected despite being 50 per cent bigger than the Royal Navy’s current Trafalgar Class submarines. 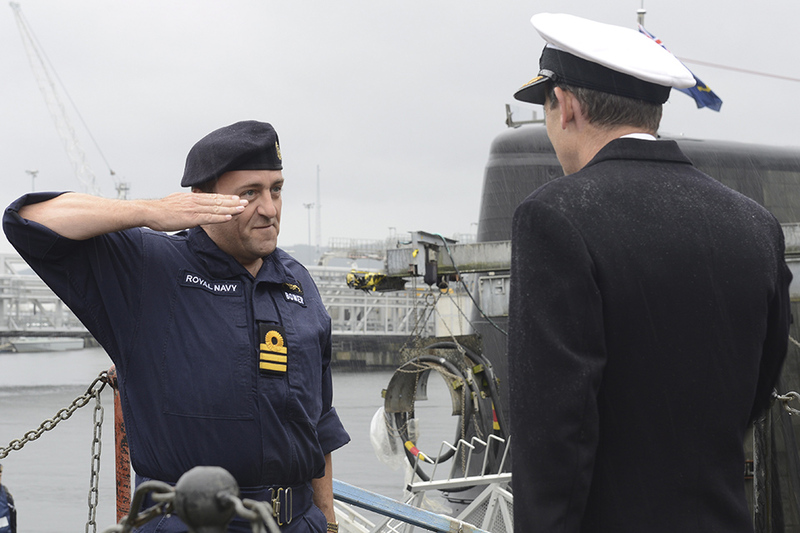 Further images of Artful arriving in HMNB Clyde can be found on the Defence Imagery website. Commander Scott Bower of HMS Artful Meeting Rear Admiral Weale OBE Assistant Chief of Naval Staff Submarine and Flag Officer Scotland. Artful’s 97m length is greater than the length of 10 London buses. When fully stored she will displace 7,400 tonnes of sea water, equivalent to 65 blue whales. She will be able to circumnavigate the world without surfacing and her dived endurance is limited only by the amount of food that can be stored and the endurance of the crew. Artful is able to manufacture its own oxygen and fresh water from the ocean. 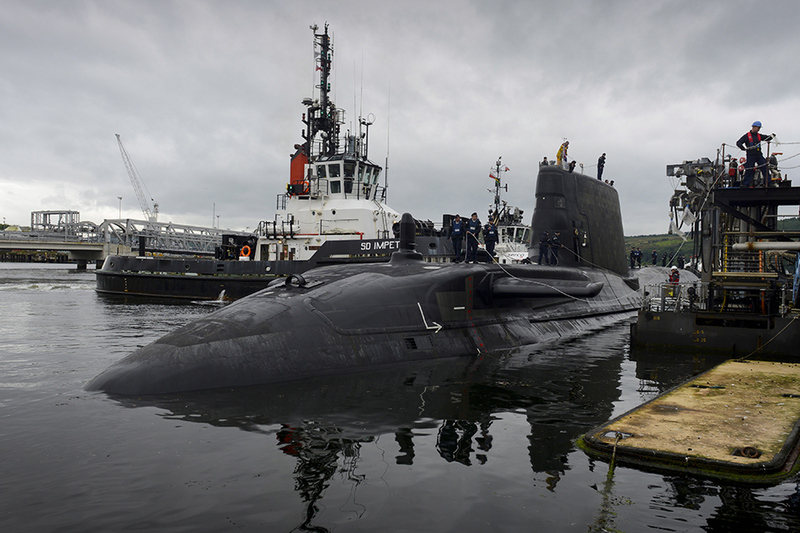 The Astute class is the first class of Royal Navy submarine not to be fitted with optical periscopes – instead they employ high specification video technology. The images are delivered into the submarine control room via fibre-optic cables. Armed with Tomahawk cruise missiles, Artful will be able to strike at targets up to 1,200 miles from the coast with pinpoint accuracy. Around 110 km of cabling and pipe work is installed on board Artful – enough to stretch from Bristol to Oxford. The Sonar 2076 sonar suite fitted on board Artful has the processing power of 2,000 laptop computers. It has the world’s largest number of hydrophones, providing the Royal Navy with the “biggest ears” of any sonar system in service today. The kitchen is called the galley. On a 10-week patrol the 100-strong crew of Artful will get through, on average, 18,000 sausages and 4,200 Weetabix for breakfast.